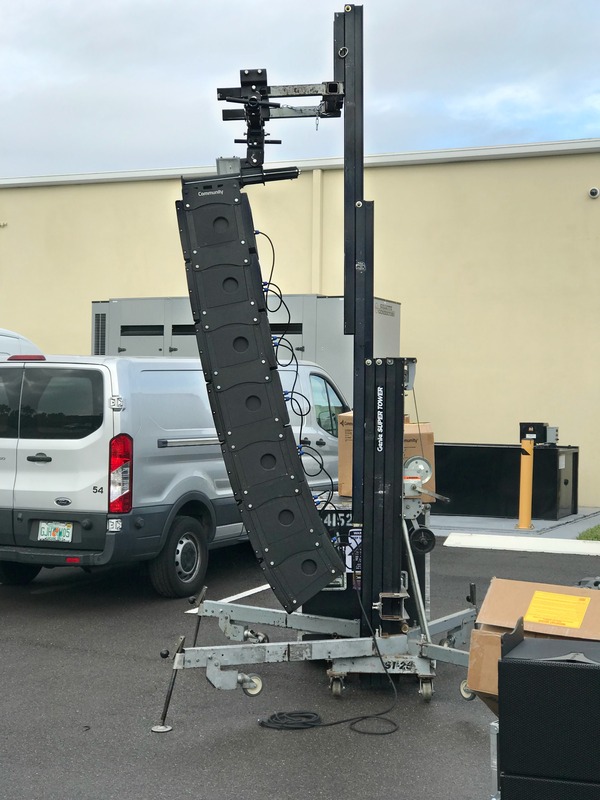 Image | April 15, 2019 April 15, 2019 | Polar Focus, Inc.
Polar Focus introduces our PM3 Pole Mount for Community IV6 Vertical Array Modules. 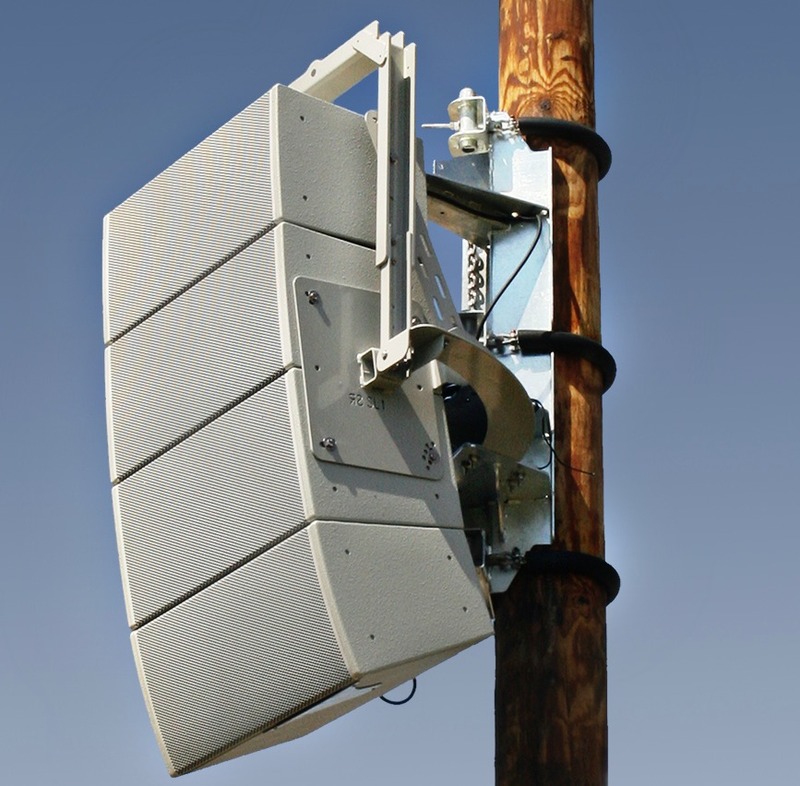 This is one wicked strong Pole Mount – wind rated up to 129 mph, which includes Class 1, 2, & 3 hurricane force winds. We’re proud of this latest collaboration with our friends at Community! 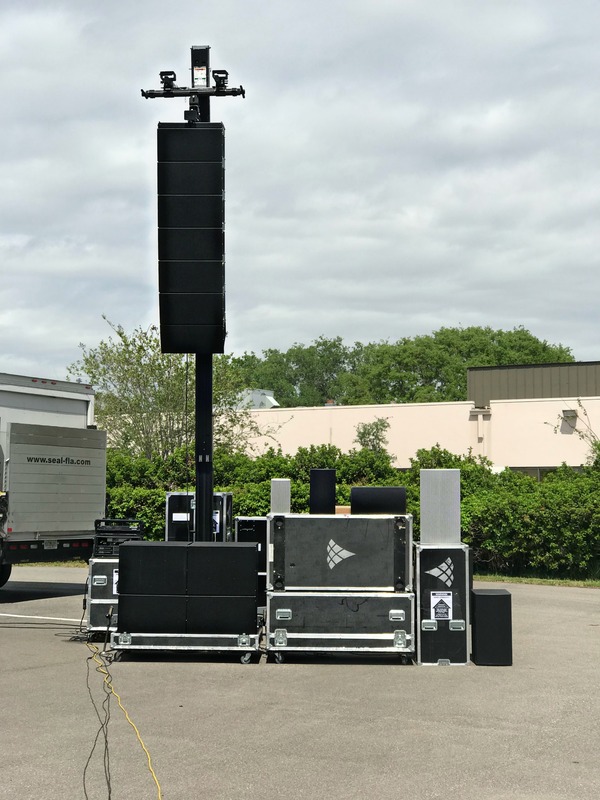 Loudspeaker rigging design, roof attachment, supplemental structure, sales, support and PE stamped drawings in any US State and Canada provided by Polar Focus. 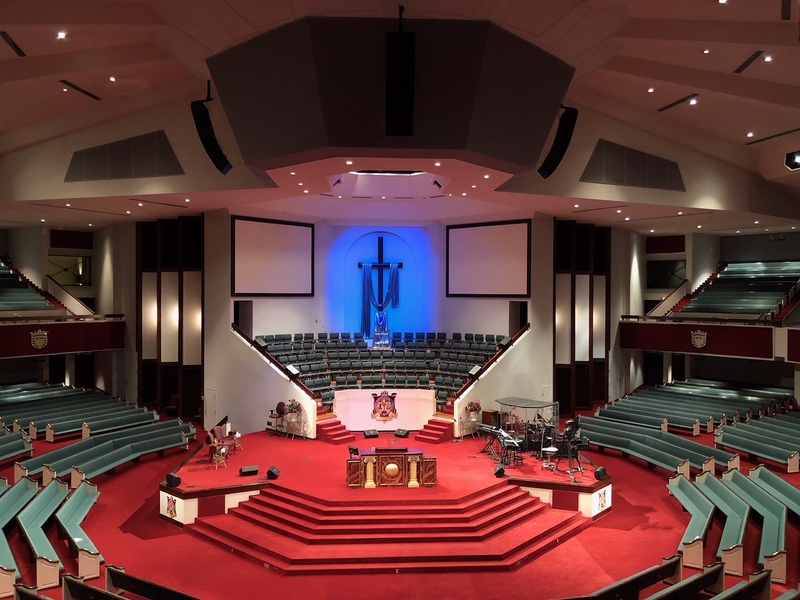 Image | April 3, 2019 | Polar Focus, Inc.
Carl Woodard of MC2 Solutions contacted us for assistance with these Community Professional Loudspeakers IV6 Modular Vertical Arrays at World Overcomers Church in Memphis, TN. Polar Focus manufactures and designs rigging frames and accessories for Community IV6 – frames are available through your Community rep, accessories are available through Polar Focus. 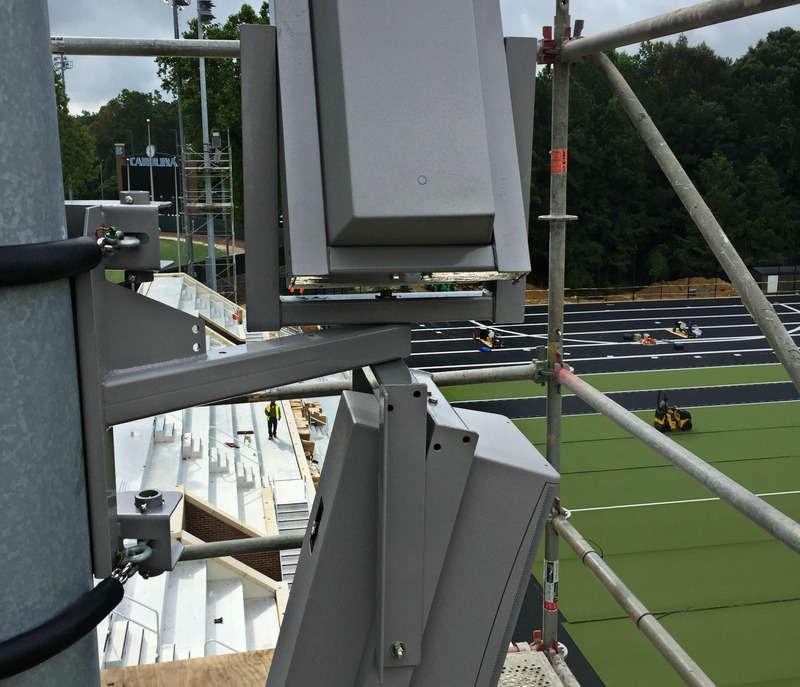 For this installation, we provided our extension post accessory, which allows a super clean installation from one rigging point with a cable raceway, allowing the signal wires to be safely stored within the extension post. This gorgeous installation looks and sounds great and will for years to come. Great work, Carl and crew at MC2 Solutions in Collierville, TN. 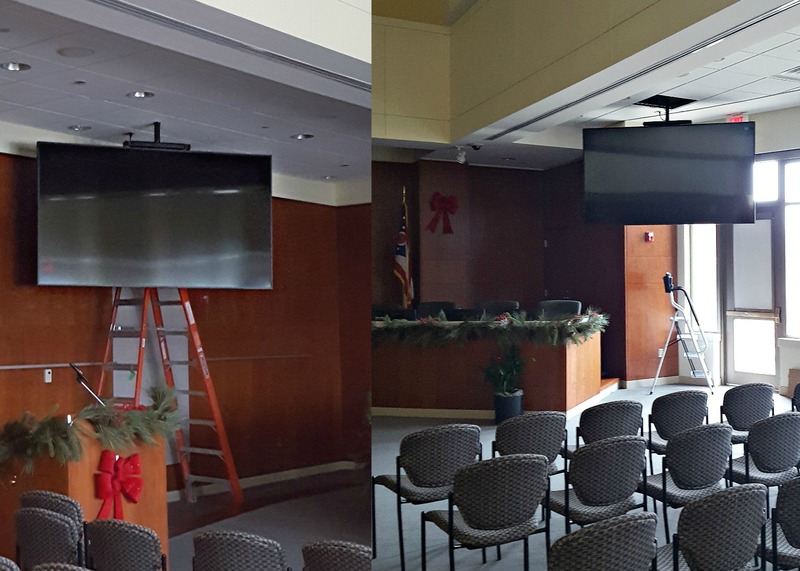 Mark Cohea from Chapel-Romanoff Technologies (CRT Tech) got in touch with us for help rigging these two Planar Systems, Inc. QE9850 screens in the City of Mason, OH council chambers. Each screen measures 98″ diagonally. 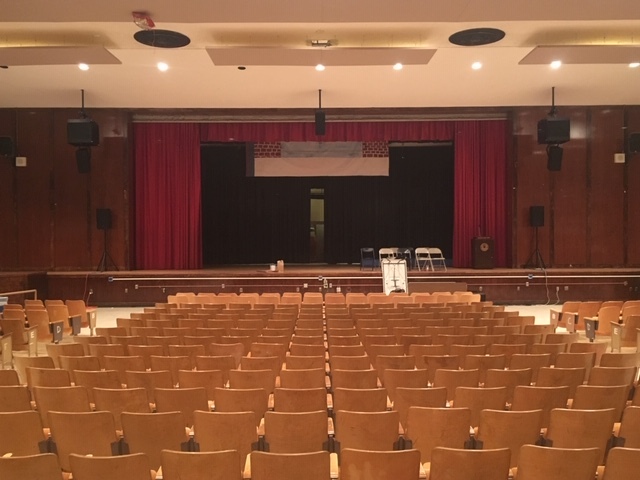 Polar Focus provided full roof attachment for each of the 126 lb screens. 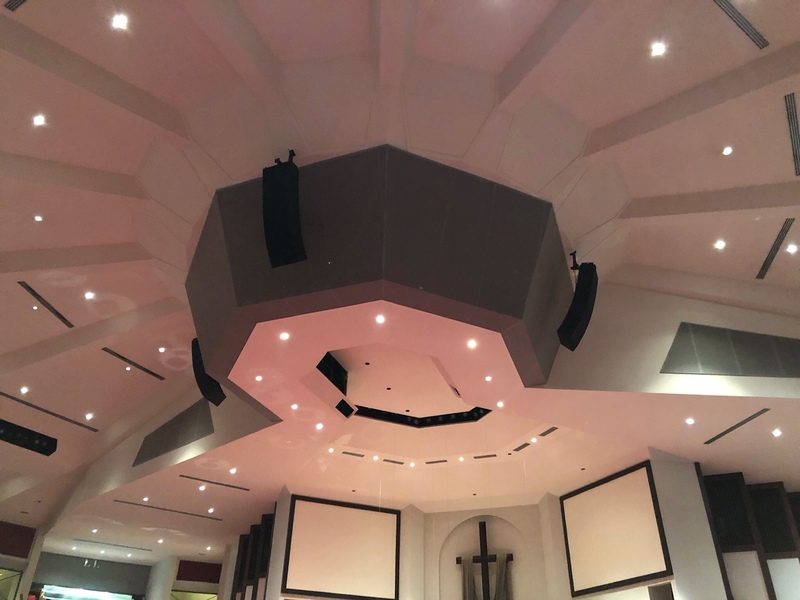 The roof attachment included engineered spreaders to span between multiple beams, and a vertical structural stem component for a clean ceiling penetration which joins to a custom VESA mount on the back of the video screen. These huge screens are the biggest single panel screens we’ve ever assisted with. Looks great and we hope this installation will serve the City of Mason, Ohio for years to come! 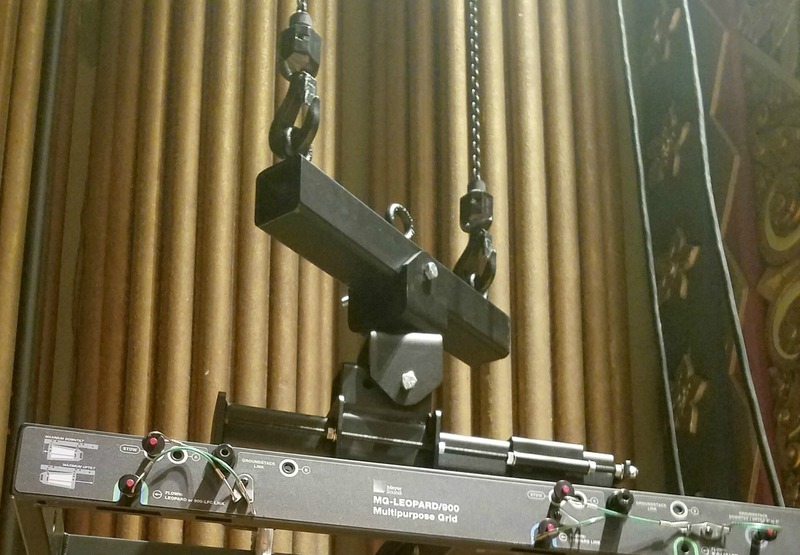 Image | November 29, 2018 | Polar Focus, Inc.
John Simhauser from Audio Logic Systems in Minnesota got in touch with us for help rigging these d&b V series line arrays and center cluster at Des Moines Performing Arts. The weight of these clusters is a whopping 1143 lbs each. 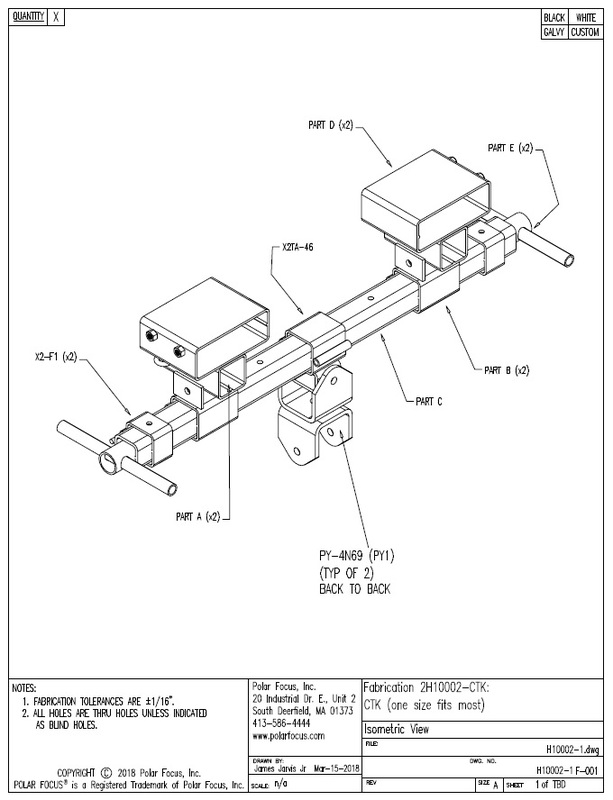 Polar Focus provided Spine Frame Adapters for tilt control, as well as PY1-ZBR-1550 Zbeams with Rocker Arm, intended for lifting a cluster from two chain hoists for each of the side clusters. We also supplied a Custom Center Bar for the center cluster of two d&b Vp10 speakers. 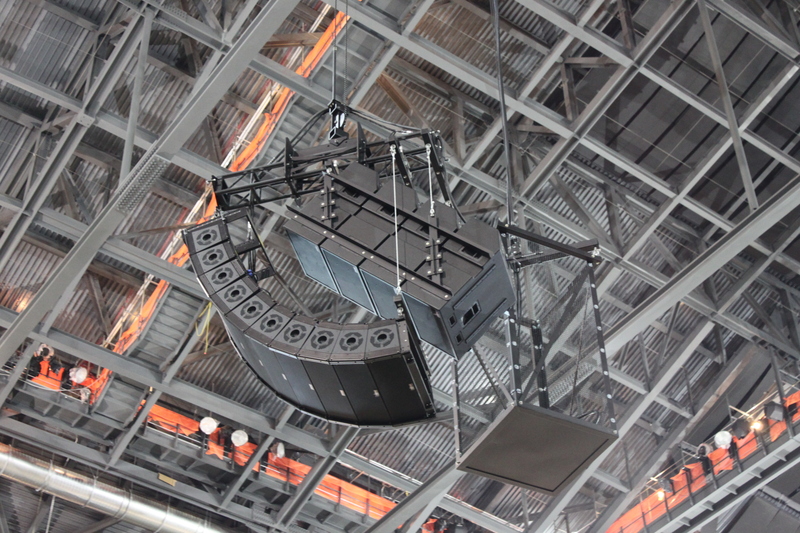 Each of the left and right arrays are comprised of ten d&b V8’s, with two V series subwoofers. Another great job by the crew at Audio Logic!